Rational, thinking people around the globe have no difficulty seeing the #BLOTUS for what and who he really is. And because they see the truth, they can also understand how he is destroying our nation. My question is simple. If people around the world can recognize an egotistical, lying, racist, why can’t his Republican supporters recognize it as well? I’m afraid the answer is just as simple. Supporters of the #BLOTUS obviously agree with him. They do not care about his collusion with Russia to pay off his massive debts. To them, #BLOTUS is more important than the future of our country. 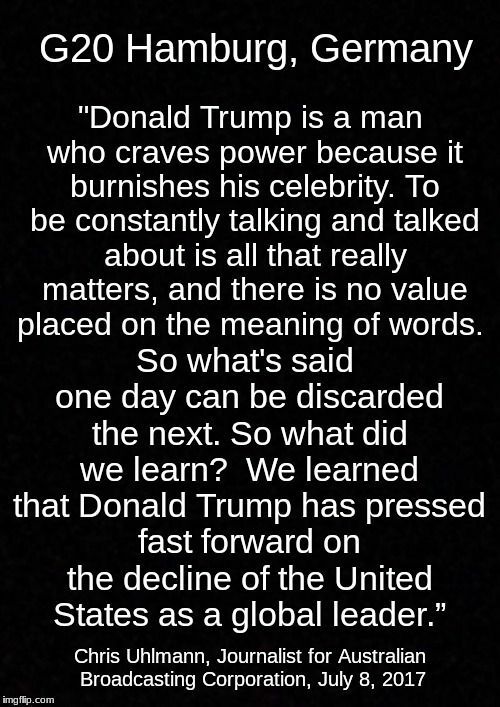 This entry was posted in Facts & Statistics, News & Views, Quotes and tagged allies, Australian Broadcasting Company, BLOTUS, celebrity, Chris Uhlmann, collusion, debts, decline, ego, German, global leadership, power, racist, Russia, stupidity, supporters, treason, value on July 13, 2017 by Ray Buchanan. The United Nations High Commission on Refugees (UNHCR) has just announced that there are over 65,000,000 refugees that have fled their homeland. That’s the highest number in history. Over 12,000,000 of these refugees are from one country, Syria. At issue is not only their future, but the future of the world. How this part of our human family is received, how they are treated, and how they are accepted will determine not only what will ultimately happen to them, but exactly who we are and the values we truly espouse. I have watched families fleeing their burning homes while dodging sniper fire. I have had the privilege to visit dozens of refugee camps and camps for the internally displaced, and have seen firsthand the fear, the anguish and the heartbreak of those driven from their homes. In the end, it boils down to opening our arms to others in need, even as we would hope arms would be opened to our families if in the same tragic circumstances. We cannot go too far wrong just hewing as closely as possible to the Golden Rule. This entry was posted in Facts & Statistics, Hunger & Poverty, News & Views and tagged acceptance, future, Golden Rule, heartbreak, homeland, human family, internally displaced, refugee camps, refugee resettlement, refugees, rejection, sniper fire, Syria, Syrian refugees, tragedy, treatment, UNHCR, value, world on June 20, 2017 by Ray Buchanan. Knowing the truth and acting on it are two separate and very different things. Knowing the truth and not acting on it is wrong. Knowing the truth and ignoring it is worse than ignorant. 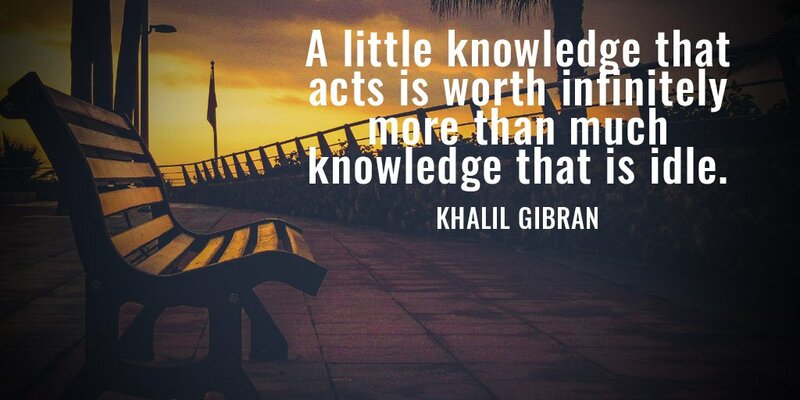 This entry was posted in News & Views, Quotes and tagged action, caring, compassion., idleness, ignorance, inaction, Khalil Gibran, knowledge, Shakespeare, truth, value, worth, wrong on April 5, 2017 by Ray Buchanan. We already know too much about the #BLOTUS. We all know his history, his character, and his self-absorbed lifestyle of greed, bigotry and selfishness. We also know of his inability to properly lead our nation. We know his complain disdain for our laws and his continuing practice of bending them, breaking them, and completely ignoring them. We know he is a pathological liar. We all know he is unfit to hold the office of president of the United States. But, knowledge is of no value unless we put it into practice. 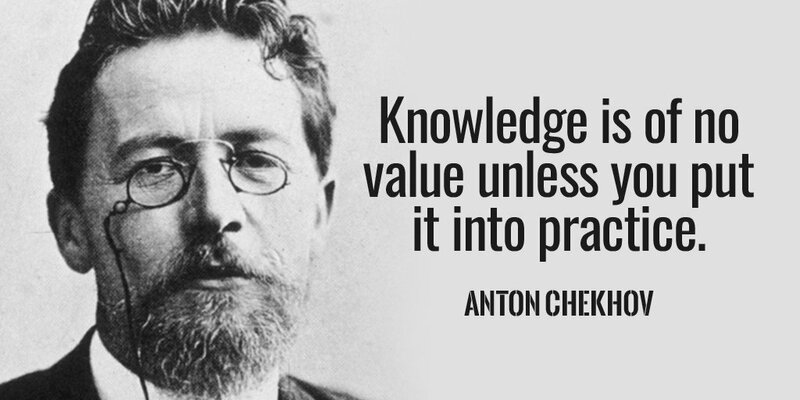 Chekhov is right on this point. Why, then, hasn’t the #BLOTUS already been impeached? This entry was posted in Hunger & Poverty, News & Views, Quotes and tagged action, Anton Chekhov, bigotry, BLOTUS, character, democracy, greed, impeachment, knowledge, law, liar, losing, office of President, pathological, practice, quote, self-absorbed lifestyle, selfishness, use, value on March 23, 2017 by Ray Buchanan. This entry was posted in News & Views and tagged greed, rich, shareholders, time, value, values, Wall Street, world destruction on January 23, 2016 by Ray Buchanan.